The Achtung! 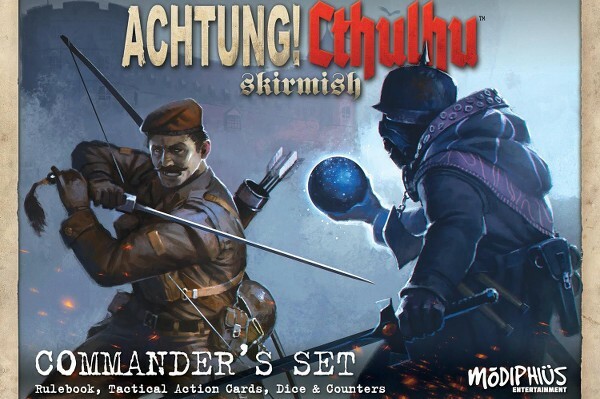 Cthulhu Skirmish Commander's Set goes on pre-order today with a special bonus of a free miniatures set for all customers. 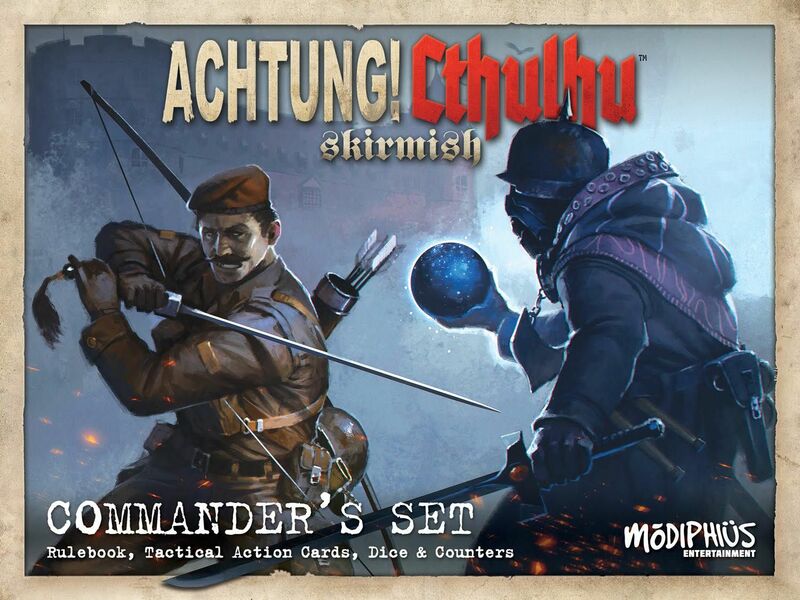 The Commander's set gives you a 144 page rule book including full units stats for the Black Sun, Allies and Mythos horrors, 3 counter sheets including templates, a double-sided reference sheet, 15 dice and a 54 card deck of TAC Cards, Mythos events and spells. The Commanders set will ship in July to web and retail customers. how long does the special bonus unit offer last? @Thomas, as long as this game is in pre order. Hopefully we'll be able to ship by the end of the month. @Kevin, in the Secret War, all things are possible. So has anyones preorder arrived yet.